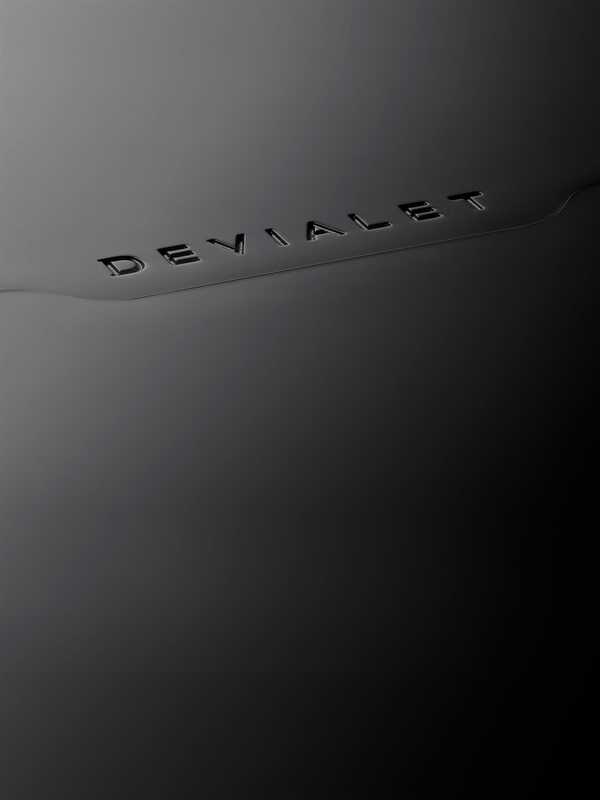 Invented by Devialet, ADH® Intelligence is the world’s first hybrid amplification technology. An industry-defining invention, ADH® works by simultaneously harnessing all the linearity and refinement of Analog amplification (Class A) and all the power and compactness of Digital amplification (Class D). Operating in parallel, our patented hybrid amplification system dramatically enhances performance. ADH® is a new hybrid amplification topology offering a modern and elegant synthesis that addresses the many constraints linked to audio amplification. It is the result of work aimed at, for example, improving the low energy efficiency performance levels of analog amplifiers, still massively adopted in the "high-end audio" industry, but long since abandoned in the professional audio, car audio and portable audio player sectors. High-performance analog amplification comes at a cost: unreasonably high levels of energy dissipation. The world’s first hybrid amplification technology delivers all the refinement of Analog amplification (Class A) with all the power and compactness of Digital amplification (Class D). Based on the same principle as advanced driver assistance, the idea of ADH is to maintain the analogue amplifier's voltage generating function (to maintain their excellent audio performance levels), while entrusting the current generation function, and accordingly, that of generating power for the load, to an amplifier equipped with drastically superior energy efficiency: in this case a digital amplifier, otherwise known as a switch amplifier. Thanks to our hybrid technology, the analog amplifier determines the load's output voltage, just as it would in any audio system, without having to provide the associated current. It therefore maintains the same performance levels for both no-load and on load operations, a unique feat. For peak performance, whatever the powel level. Amplification in a class of its own. In the analog amplifier, no passive component is present on the audio signal path. The active components crossed by the audio signal have zero capacity for load storage. The analog amplifier operates based on constant power dissipation. It is therefore indifferent to past and present changes to the evolution of the musical message. There is no warm-up time and thermal distortion is de facto non-existent. The analog amplifier is lightning-quick: its natural bandwidth is continuously stretched out to 5 MHz, ensuring optimal transient rendering and no phase shifting whatsoever. The actual bandwidth is therefore that of audio content during playback: 22.050 kHz for a file sampled at 44,100 kHz, 48.000 kHz for a file sampled at 96.000 kHz, etc. The analog amplifer’s dynamic range is greatly extended, allowing for voltages up to 120V while maintaining inaudibly low residual background noise. For zero speaker hiss, whatever the sound level. The digital amplifier is based on an innovative multi-phase, multi-level design operating at 1.6 MHz. 4 phases work together over 5 levels per channel, or 8 phases over 25 levels when bridged. Driven by a micro-processor, power transmission is achieved with no latency and extreme accuracy. The digital amplifier does not feature an output condenser, making it possible to attain 90% effective energy efficiency with ultra high power density. Once these conditions have been met, you can create incredibly powerful amplification stages with a minimal footprint. There are multiple advantages to hybrid amplification. Output impedance remains constantly below the 1 milliohm threshold across the entire bandwidth. The resulting damping factor guarantees total control of any speaker on the market. Exceptional audio performance is achieved without special selection or peering of components. Performance is replicable from one device to another, sustainable and guaranteed by engineering. In addition, microprocessor control of each amplification channel ensures their constant auto-calibration, as well as limitless protection against all of the following potential hazards: overvoltages, overloads, power pulses, thermal events.